The Office of Inspector General has released a new advisory opinion addressing the implications of a contract for anesthesia services between an anesthesiology group and a psychiatry group. OIG Advisory Opinion No. 13-15 was published on November 15, 2013. 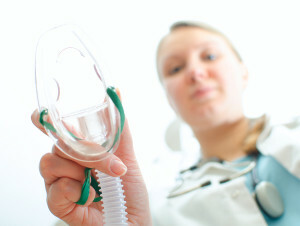 The opinion illustrates the OIG’s difficulty with arrangements between existing anesthesiology groups who are forced to forego the right to bill for their professional fees in order to provide anesthesia services for patients of a provider who is not historically in the business of providing anesthesia services. This type of arrangement seems to be arising more frequently as provider groups search for ways to capitalize on additional revenue streams from their existing patient base. Opinion 13-15 involved a psychiatry group who proposed a contract with an anesthesiology group to provide additional anesthesia coverage for patients of the psychiatry group who were undergoing electroconclusive therapy procedures. Under the contract, the anesthesiology group reassigned its rights to bill and collect for its anesthesia services to the psychiatry group. The anesthesia group agreed to accept a fixed per diem rate for providing anesthesia services for the psychiatry group’s patients. The arrangement permitted the psychiatry group to profit from the difference between anesthesia billings and the per diem fee paid to the anesthesia group. The OIG found that this arrangement created a risk of violating the Anti-Kickback Statute. The OIG noted that the per diem amounts the psychiatry group would pay to the anesthesia group would not qualify for protection under the safe harbor for personal services and management contracts for a number of reasons, including the aggregate compensation to be paid over the term of the agreement would be neither set in advance nor consistent with fair market value. Additionally, the safe harbor protects only payments made by a principal (here, the psychiatry group) to an agent (here, the anesthesia group). The safe harbor does not protect the remuneration from the anesthesia group to the psychiatry group that is of issue in this case. After determining that there was no safe harbor available to protect the arrangement, the OIG went on to analyze the risk that the arrangement would present under the Anti-Kickback Statute. The OIG concluded that the arrangement appears to be designed to permit the psychiatry group to indirectly receive compensation, in the form of a portion of requestor’s anesthesia services revenues, in return for the psychiatry group’s referrals of patients to the anesthesia group. The OIG concluded that the arrangement presents a significant risk that the opportunity to generate profit on anesthesia services would be in return for referrals. Advisory Opinion 13-15 is just the latest in a long line of releases that casts a shadow on attempts of one provider group to profit from captive referrals for services that it does not ordinarily provide. The OIG seems to permit the legitimate extension of services by groups like the psychiatry group at issue in 13-15. The OIG had no difficulty with the psychiatry providing anesthesia services by a psychiatrist member of the psychiatry group who was also qualified to provide anesthesia services. To contrast, the OIG is obviously suspicious of arrangements that permit the non-anesthesia group to profit from the services of the anesthesia group. The consequences of a violation under the Anti-Kickback Statute can include both criminal and civil damages. As a result, providers need to be extremely cautious about entering into the type of arrangement that appears contrived to permit a profit to be made from services that are normally billed by an anesthesia provider. This entry was posted on Monday, November 25th, 2013 at 10:31 am	and is filed under Anesthesia Issues, Anti-kickback Statute, Billing and Coding, Fraud and Abuse, Safe Harbor Regulations. You can follow any responses to this entry through the RSS 2.0 feed. Both comments and pings are currently closed.